Just a quick one for today. I must get to sleep soon — my flight to Singapore leaves early tomorrow morning. 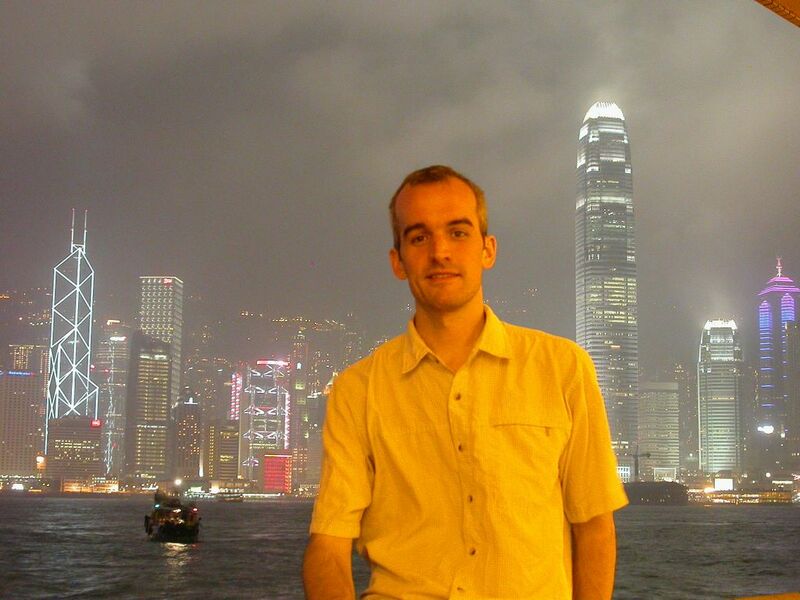 Tonight I went to Kowloon, across Victoria Harbour from downtown Hong Kong. Behind me you can see three of my favorites of of Hong Kong's impressive buildings: The Bank of China building, the HSBC building, and the Two IFC building. More to come once I get situated in Singapore tomorrow.